Constructed on the former K.D. railroad line, this 7-mile trail runs from Church St. in Hebron eastward through North Branch Conservation Area and links with the Prairie Trail in Richmond. 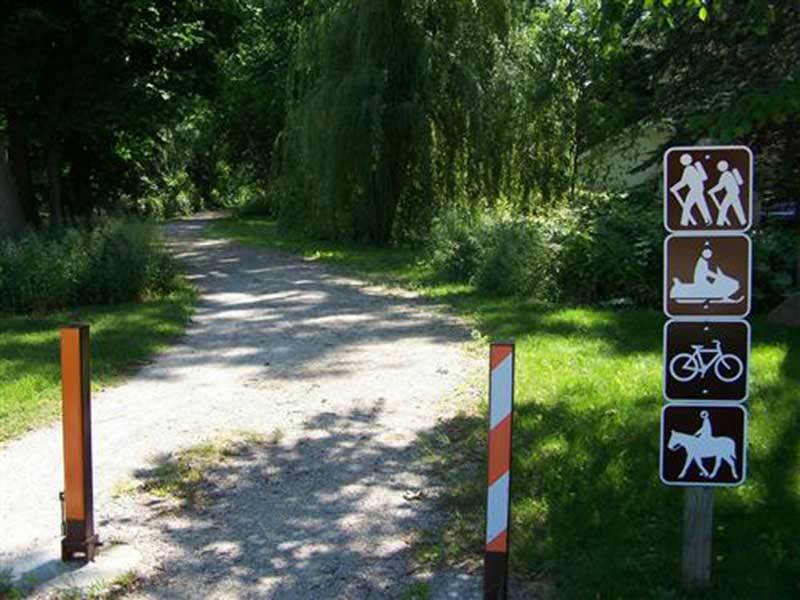 A camp-by-bike area is located in North Branch for the convenience of bikers on longer trips.